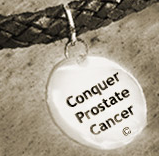 Conquer Prostate Cancer Now: Prostate Cancer Treatment - Why Go Robotic? Prostate Cancer Treatment - Why Go Robotic? When deciding which prostate cancer treatment option they want, many patients have bought into American culture’s marketing hype that newer and more expensive means better. Dr. Turner argues that hig-tech, robotic surgery is inordinately expensive. And he adds that’s the case, even though such procedures have not been proven to be any better than less costly procedures like standard laparoscopy or open surgery. He also confesses that his reliance on high-tech machines like the da Vinci robot has led to his losing some of his inherent surgical skills, due to his increasing reliance on such machines. To contrast Dr. Turner's views, consider this: Since my robotic prostatectomy exactly four years ago, in April 2007, I’ve never regretted my decision to let my surgeon and contributing author, Dr. Robert Carey, use the da Vinci device on me. I was aware that my robotic surgery outcome in terms of cure, potency and continence might well be the same as with open or robot-less laparoscopic surgery. But despite Dr. Turner's assertions, it wasn't the "Wow!" factor of high technology that influenced my decision to go robotic. What impressed me most was that an experienced surgeon would operate on me with 10 times, three-dimensional (3-D) magnification. I felt this was preferable to the usual four times, two-dimensional magnification available to even the best of open prostatectomy surgeons, who use surgical loupes or glasses. In addition just knowing that the doctor would use minimally invasive techniques, and see my cancerous prostate through a miniature camera inserted inside my pelvic area (via my belly button! ), meant that things would mostly likely go well for me. By the same token the robotic procedure convinced me that I would not be subjected to bleeding, leaving an unobstructed view of my prostate during the entire surgery -unlike the standard surgeon’s field of vision. It’s true that doctors who do standard surgery claim they can feel their way to identifying raised tumor surfaces, in contrast to a robotic doc who sits at his TV console 10 feet away from a patient's inert figure. But I have my doubts that a tumor that’s less than a millimeter high could be readily identified by touch alone. Another factor influencing my decision to go robotic was the likelihood that I would have little if any pain after my surgery. Of course pain is relative and subjective. But until this day I’m convinced that my discomfort was nothing compared to that of a couple of friends who chose open surgery for prostate cancer a few months after my operation. Quite simply the likelihood of forming scar tissue after minimally invasive surgery is, well...minimal! Only with robotic surgery could I have undergone a relatively pain-free, quick recuperation. Only with robotic surgery would my energy be completely restored within two weeks, rather than the six weeks typical of open surgery patients. Beyond this I was pleased that I had so little stress and was able to go home after a one-night hospital stay. That sure beats the experience of most open surgery patients, who need a two or three-day stay with the extra hospital room costs that accrues. What intrigued me most was my surgeon's commnent, when asked how he would proceed if the robotic device blew a fuse. His response? : That wouldn’t be a problem. Unlike Dr. Turner he insisted he could easily switch back to traditional open surgery if all else failed! He had done so previously when supervising newer docs, who might otherwise have botched the robotic procedure. And he could do so again. I guess that even when you get used to doing robotic surgery, standard surgery is like riding bike after a long hiatus: Some skills you never lose.